Preface: Jeremy is the most supportive husband ever, and encourages me like no one else. BUT last weekend as I was chuntering on about how I could make marmalade from the grapefruit we were picking, he rolled his eyes and said I never would. So incensed was I by his dismissive attitude toward my cottage-crafty skills, I muttered “I will make some motherf*cking marmalade if it’s the last thing I do“. The fact that his doubting was probably grounded in years of throwing out rotting bags of food that “I meant to do something with” was glossed over as I indulged in a brief fantasy about nailing an artisan marmalade recipe that would make us millions. So today (and yesterday, because I’ve discovered marmalading is a two-day process) I Preserved To Prove A Point. P.S. 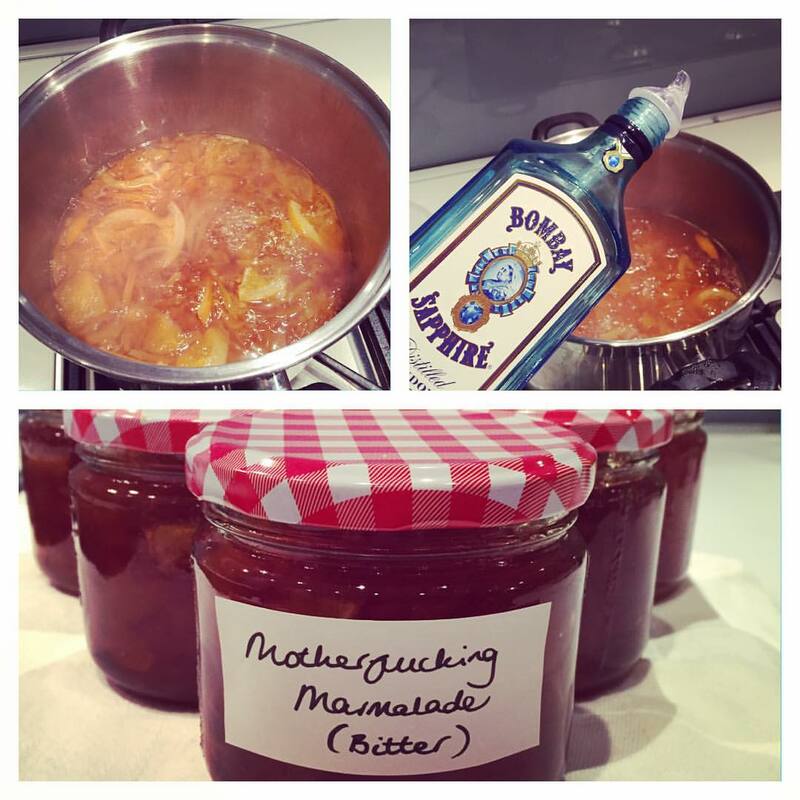 Today I went for a 17km run then came home and marmaladed. WHO AM I ANYMORE? Next PostBold move, Mercedes, bold move.